Part 9 in our series-WINE, SPIRITS, TASTING, PAIRING, SERVICE, AND BEYOND: AN 11 Session program to help students develop a foundational knowledge in a broad array of fine beverages. Designed for both industry professionals and beginners alike. WINE, SPIRITS, TASTING, PAIRING, SERVICE, AND BEYOND: AN 11 Session program to help students develop a foundational knowledge in a broad array of fine beverages. Designed for both industry professionals and beginners alike. Flying at 10,000 feet, we will look for global patterns touring the world by glass. In this class, we leave the extreme cold climates of last week and explore more temperate climates for white and red wines as we journey through the highlights of Central France, Central Italy, Northern Spain and California. Our guided tasting of 6-8 wines will focus on New World vs Old World and examples of Chardonnay, Pinot Noir, Tempranillo, Nebbiolo and Sangiovese. Also see Warm Climate Wines of the world. ONLINE TICKET SALES HAVE NOW ENDED. Don’t worry, plenty of tickets available at the door! So we all know the significance of March 17th, right? That’s right – it’s the date that Italy celebrates the anniversary of its Unification (aka The Risorgimento)! What, you thought an Italian-owned, wine-focused business would be referring to Irish saints, leprechauns and swigging green beer? Per favore! No, what many folks don’t know is that on this date, back in 1861, the Kingdom of Italy was proclaimed and it is this date that became recognized as the birthday of a united Italy. Granted, the Italians only make a big deal of it every 50 years, but WE feel it deserves annual recognition – and what better way to celebrate than by the hosting our annual Giro d’Italia wine tasting event?? We’ll be hosting the event on Saturday, March 16th from 1-4pm. Once again, we have partnered with our good friends, Marc and Paula Levitt of Girasole Imports and Kermit Lynch Wine Merchant to put together a selection of some of the best wines the Boot has to offer! You like Prosecco? We got Prosecco! You like Barolo? We got Barolo! You like Chianti? We got Chianti! In fact, we’ll be pouring 75 wines, wines with broad regional diversity and in EVERY style imaginable. They’ll be wines you know and love as well as many wines that may not be as familiar to you, but that are just as delicious and worthy of your attention. They’ll be wines that will be perfect partners for your weekday meals and some that will make wonderful additions to your cellar. Most of these wines are made by family-owned, quality-driven producers whose passion and commitment shine through in the their wines and make them very special, regardless of price. Mark your calendars for Saturday March 16th! Full list will be released soon! This will be a casual walk-up tasting; all seating will be first come-first served at communal tables. Full dining menu will be available. Join us in unraveling the mysteries of the EU labeling scheme and compare it with the rest of the world. 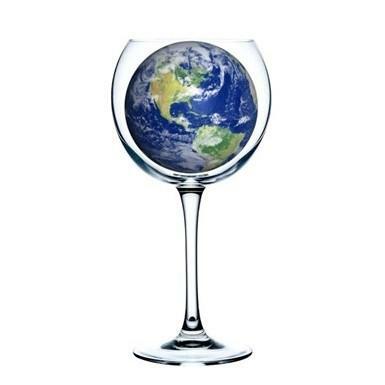 We will look for global patterns as we tour the world by glass. Take in the highlights of crisp wines from cool climates from Germany, Austria, Northern Italy, Northern France, Oregon and New Zealand. The guided tasting of 6-8 wines will focus on New World vs Old World and examples of Chenin Blanc, Pinot Gris, Riesling and Sauvignon Blanc. Also see Temperate Climate Wines and Warm Climate Wines of the world. We skip Blanc, Gris and all other Pinot as we fade to Noir. Pinot Noir is grown all over the world, though it is difficult and finicky. Learn its origins, other homes and characteristics. Discover how it varies based on climate, soils and traditions in various international regions through a guided tasting for 5-6 wines. Despite the differences you will find common threads. This class is a must for Pinot lovers and those seeking to improve their wine tasting skills and knowledge. 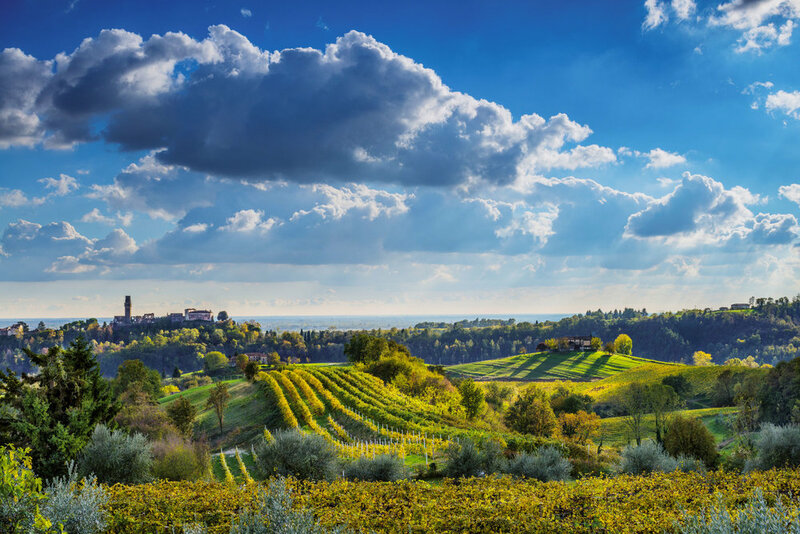 Take a “flight” with us to the Veneto region of Italy! Girasole Imports will be hosting Sara Ceschin of the Ceschin family, the founders of Il Colle and producers of prosecco for four gererations. We’ll have a special Il Colle Flights Menu paired with traditional Tremezzino, Italian “bar bites” native to the Veneto region. Join us for our Valentine’s version of Cinema Enoteca: Under the Tuscan Sun! This perennial romantic-comedy favorite is set in beautiful Cortona, Italy and its surrounding Tuscan countryside and stars Diane Lane. Based on the best selling memoir by Frances Mayes, this is a crowd-pleaser for the most romantic holiday of the year! The story centers around a writer (Frances) who goes on an Italian vacation to forget about her divorce and get over her writer’s block, then ends up impulsively buying a run-down Tuscan villa to start a new life. Seating starts at 5:00. Movie starts at 6:00 Seating at communal tables. Limited seating, reservations required. FULL REGULAR MENU WILL BE AVAILABLE. FOOD & DRINKS SPECIALS TBD. Please call 408-618-5455 to make your reservation for Cinema Enoteca today! Join us as we feature wine flights from Girasole Imports, our partners in Italian wine, paired with our new Bar Bar Bites 2019 Menu. Paula and Marc, of Girasole, travel to Italy several times a year to meet personally with the producers and vintners of the wines they select to import. We’ll be featuring a white and red flight chosen to pair with items from our updated Bar Bites menu. Flights menu and pricing coming soon. No ticket pre-purchase required, just stop by and enjoy! Click on our Menu link to see the Bar Bites Menu. Flights available at both dining tables and bar seats. Bar Bites menu is exclusively available at our high-top bar seats. All bar seating is first come- first serve. Get answers to all of the questions you have been afraid to ask and learn the basics of wine, from how it's made, decoding wine labels, how to taste & talk about wine, important grapes and styles, how to buy wine, storage, service and food pairing. The tasting of 5-6 wines will focus on the structure of wine, various styles and main grape varieties. ONLINE TICKET SALES HAVE NOW ENDED. TICKETS WILL BE AVAILABLE TO PURCHASE ONSITE. Get ready for bubbly’s biggest night of the year by joining us for this tasting of 10+ of Enoteca owner Mike Guerra’s favorite champagnes. A certified champagne “fanatic”, Mike will be sure to be pouring some gems at this special tasting. As always, orders placed day of tasting will be available at deep discounts so stock up for your New Year’s celebrations (or for any time of year). This will be a casual, walk-up tasting. Seating will be on a strictly first-come, first-served basis at communal tables and the bars. No reservations will be taken. ONLINE TICKET SALES HAVE CLOSED-WE HAVE PLENTY AVAILABLE AT THE DOOR. SEE YOU AT 6:00! Join us at ELS San Jose for the December Wine Club PUP! Taste all of the wines, from all of the clubs, meet other club members, and walk away with a nice selection of December’s Club wines. ONLINE TICKET SALES HAVE ENDED. TICKETS STILL AVAILABLE AT THE DOOR. Join us at ELS Downtown in tasting wines perfect for your holiday table! We will feature 10+ wines (tentative pour list below) all meticulously selected to pair perfectly with all of the turkey, cranberry sauce and stuffing that you can eat! We will be raffling off a piece of Ce Jewelry as well as other prizes, so be sure to join us for this tasting. Must be present to win, so stay, swirl ‘n shop! $20 WC Members/ $25 General…..Skip the line and purchase ticket online. Online ticket sales will be available until 2 hours prior to event start time. Spanish wine is hot in the USA & is a global powerhouse. Credential seekers can check out the debut of Spanish Wine Scholar in Fall 2018, but everyone will enjoy Intro to Spanish Wines! Rioja, Priorat & Ribera del Duero surely make our list, but come find out our other picks. Join us as we explore Spain's top regions and appellations. In this seminar taste 5-6 wines as we present the grapes, styles and diversity of Spain's greatest wines. ONLINE TICKET SALES END AT 4:00PM BUT YOU CAN STILL BUY TICKETS ONSITE. Join us at ELS San Jose for the November Wine Club PUP! Taste all of the wines, from all of the clubs, meet other club members, and walk away with a nice selection of November’s Club wines.